An ideal place to start a new quiet life on cozy island! A lot of wood and a variety of resources. A small cave in which you can easily hide from nocturnal monsters. 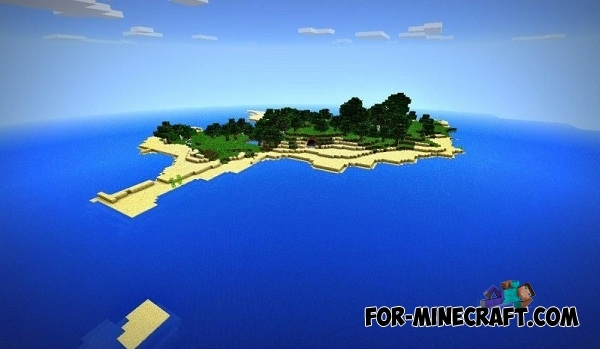 How to find the island? After entering into the world, you will immediately spawn on the island.